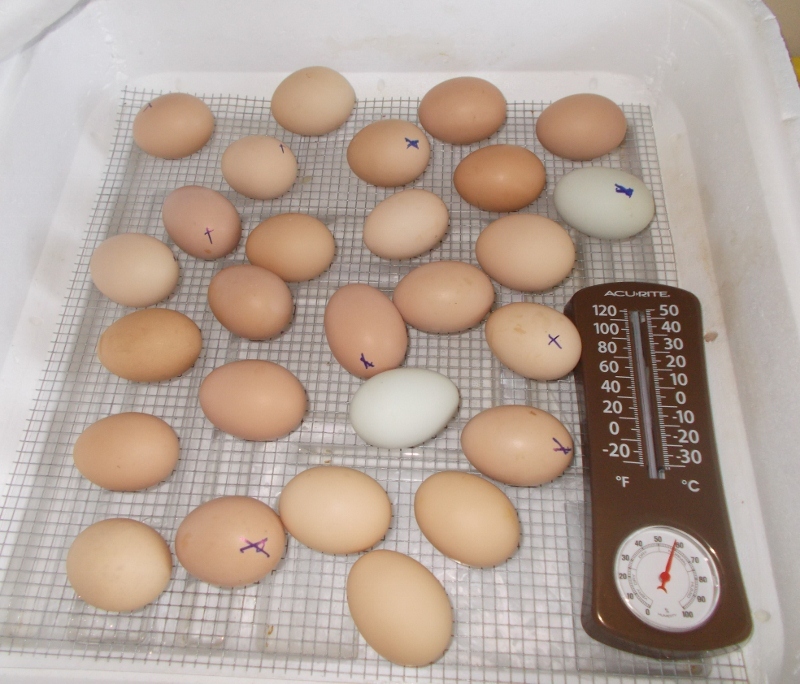 Lally Broch Farm: A Maine Family Homestead: The New Chicks are Hatching! I knew it was bound to happen (under the premise that anything that can go wrong in your absence, will) but still I was hoping I was worrying over nothing. I wish I was worrying over nothing. But, alas! No. *Sigh* Our animal-sitter texted me that apparently Jasmine noticed our absence almost immediately and made an escape attempt. Daniel (our animal control guy) got a phone call at midnight last night that Jasmine was running up the side of the road. He went and put her back in her field. We know this because he kindly left a note in our door to inform us. When our farm-sitter, Charle checked on Jasmine this morning, she was outside her fencing again, munching on grass in the growing orchard. At least she wasn't off our property, so Miss Jasmine is locked into her stall for the night and we hope she will remain there until our return. And, two chicks decided to hatch 48 hours early! They weren't due until Sunday night!!! Then, another chick hatched this morning and six more have external pipping on the eggs indicating their immanent hatching, too! This is what they looked like when we left on Friday afternoon. Sneaky peepers! I will worry about them until I am home to check them personally. I don't have any pictures to update of the new chicks, since my camera is with me. But, I will tomorrow night. Only 24 hours before we will be back on the homestead. I am enjoying all the wonderful spiritual food from our convention, the new releases, and associating with the brothers and sisters, but I will confess to looking forward to getting home to our critters and my own bed tomorrow evening! Jasmine made a break for it! I am glad she is safely home, having a time out. I look forward to hearing about the convention!